I don’t know about you, but I started January with no real diet plans in mind. I hoped that I could avoid the stereotypical fasting observed by so many at this time. However, as this grey, dull month has worn on I’ve found myself lacking in my normal energy and enthusiasm and in need of a boost. Nutrition seemed the first place to turn. 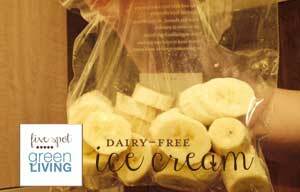 I have discovered an amazing new treat which is ideal for the New Year, because it doesn’t contain many calories or any refined sugar: one ingredient, no dairy banana ice cream. You may guess, but perhaps not believe, that the one ingredient is banana! Thank you, StumbleUpon lister! It’s incredibly simple to make, as you can see from my photos below. 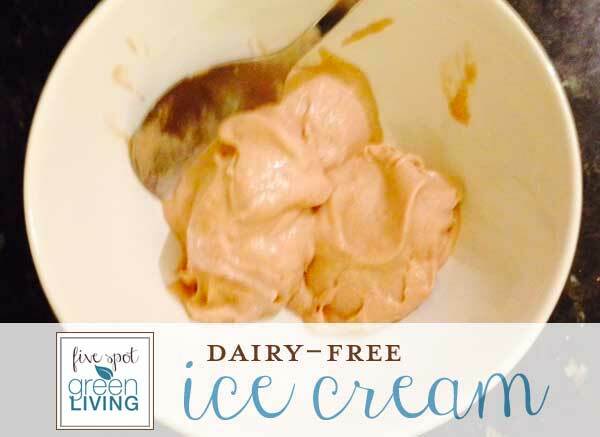 The amazing thing is that you end up with scoops of frozen goodness which give exactly the same experience as ice cream without the need for any dairy, an ice cream maker or any sugar and preservatives which shop bought stuff contains! Of course, if you want to go ahead and add more sugar in the form of additional ingredients, as I’ve suggested below the method, that’s entirely up to you! Add the segments to a freezer bag (kindly modeled by dear husband in the image below), to keep them nicely sealed in. Freeze until solid – they need to be in there for 2 hours minimum. I left mine in for 24 hours and they were rock solid! Take a couple of scoops and enjoy! I have to say that I was skeptical as to how well this recipe was going to work, but as you can see from the bowls of deliciousness above, it really did transform the frozen chunks into something closely resembling ice cream. The ice crystals and natural creaminess of the banana combined to create something even Ben & Jerry or Häagen-Dazs would be proud of! It also went down well with my Chief recipe-taster-in-residence. Full disclosure: This was my second attempt at making banana ice cream. I didn’t freeze the bananas long enough the first time, only for about 1.5 hours. I thought they might not be solid enough when I took them out of the freezer but I was too eager and it was too late in the evening to wait any longer! It yielded a kind of banana yogurt, which was fairly nice, but not quite the effect I was after! Sweet Peanut Pie: 1 teaspoon peanut butter, 1 teaspoon honey. There you have it, a guilt free, vitamin packed dessert which is easy to whip up after even the longest day at work in the middle of the week. Obviously, it’s less healthy the more additional ingredients you add in, but a banana by itself is around 100 calories and adding the ingredients above brings the totals to around 200, so it’s fairly saintly! By Elizabeth Madeley. This is a guest post from Liz at theCharityWebsite, who is a supporter of World Vision’s charity campaigns. This year she’ll be putting her baking skills towards a fundraising charity cake and bake sale to for those affected by Typhoon Haiyan. If you plan on using your bake-in-a-cup recipes for good let us know in the comments.